Our Mixing & Mastering Course is for learners who want to really get to grips with the art of mixing & mastering in a class size of no more than six. If your mixes are lacking clarity, depth, and punch, then our Mixing and Mastering Course is for you. Our lessons are jam-packed full of classic and innovative mixing techniques, tips and tricks shared to you by our GRAMMY®-winning sound engineer, Aamir Yaqub. This music production course is for people who are ready to take in and experiment with the concepts and techniques to make a massive improvement to their music, saving a fortune on engineers and studio time. Suitable for all DAW users and all genres of music. 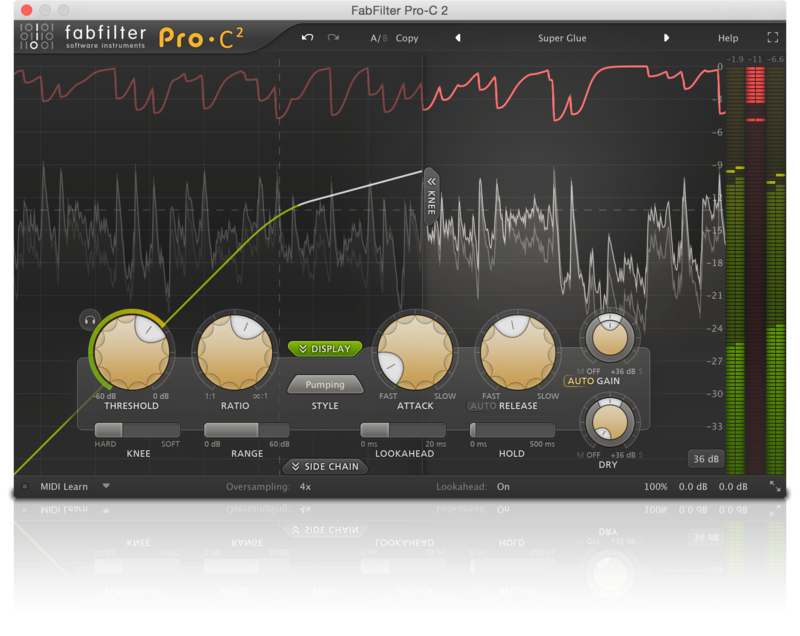 We use Fabfilter third party software on the course itself, which will run in all popular DAWs. It is not important you own them for your course if you are using Logic, Pro Tools or Ableton, but we highly recommend them. If you wish to make a purchase, all GMP learners worldwide qualify for a 50% discount. Total class time is 36 hours where you can ask a question and bounce off of your tutor and fellow learners exactly when you’re feeling inspired, or…confused! This is why some say that there is no substitute for music production courses in person. If you miss any sessions due to holidays or illness, we will do our best to engineer it so you can come back on a future cycle of your choice to catch up. All courses come with extensive notes put together by our expert course developers, and you also get an industry recognised certificate on successful completion. Many learners these days prefer to use their own laptops on our courses for things like getting help customising their set-up, and they have their project exactly as they left it in class to work on at home. So we made the course more affordable, but added a £50 supplement for learners who wish to hire an iMac loaded with software. Please ensure you book an iMac when you book your course if you need one. Controller keyboards, headphones, and audio interfaces are always provided for everyone. See what recent learners thought of the course at the bottom of this page. You may recognise a name or two on the list! Contact us for more information. Please remember to choose ‘Mixing/Mixdown’, and enter the schedule letter on the form along with the start date. To be in the loop when we release more dates, sign up to our newsletter towards the top right of this page. We don’t send many, you can easily unsubscribe, and we never share our data with anyone, ever. Before I did this course I already had a degree in mixing and mastering from a music conservatoire in Leeds and so I was worried that I may be going over old things I already knew. However, I found that although I already had prior knowledge of studio mixing, EQ and Compression etc. The course and its accompanying notes (Which were extremely thorough) helped me to consolidate and give clarity and confidence to the topics and techniques I had encountered before, as well as introducing me to many new skills and techniques. Money well spent. I'd also like to give thanks to the instructors, who were extremely knowledgeable and approachable throughout. As a songwriter/producer I relied heavily on engineers for recording and mixing if I wanted to get my tracks sounding like masters. I always wanted to do more myself but struggled to learn anything watching an engineer zip around Logic or Pro Tools at 1000 mph! Then I found Garnish School of Sound and did their Mixing and Mastering course. It was exactly what I needed, we covered everything I was unsure of in the past from using buses properly, EQ, audio compression and using specialist mastering plugins. Everything was explained and demonstrated in a way I understood. I never thought i'd ever be able get such great sounding tracks doing everything myself. As a Singer/Songwriter, I was self-taught when it came to mixing, and although over the years I have worked out how to do a lot of things, getting a good mixdown always seemed to be where I was lacking. Trying to get your head around things like which compression circuit algorithms to use and surgical EQing when you've not had any formal training is hard. Now I have done this course I can now mix my own tracks to a real polished standard which I'm loving, because they sound great! Having a variety of tutors come in who specialise in each area that is being taught provides an invaluable wealth of specific knowledge, as well as keeping the course really interesting and engaging. I’ve learnt more in this course in a week than I learnt at the other larger electronic music production school in 3 months! The professionalism and tutoring styles from the instructors are second to none. Not only did we cover everything on the list, but any questions about other musical topics were covered and answered from the guys. A huge library of knowledge available! Never have I been on a more informative course tutored by guys as experienced as this. If you're serious about musical production and getting your tracks the quality they deserve, any of their courses should be at the top of your 'to do' list! Learnt loads of useful stuff from guys who do it for a living, not just straight tutors. What they are teaching is what they do day-to-day and the course covers loads of different aspects of mixing & mastering. This is the second course I have done @ Garnish and both have proven to be invaluable. I would recommend this course to anyone irrespective of their music preference. The greatest benefit of the course (over any online courses) is the fact that due to the nice small classes you are able to solve problems/ask questions about your personal productions throughout, in conjunction you’re your newly acquired skills. I can’t believe how much bigger my mixes sound now I’ve done the Mixing & Mastering course. Knowing how to mix like a professional engineer has even affected how I make music in earlier stages now. I can now master my mixes myself for playing out, and only use a mastering engineer now when the label is paying! If you’re serious about learning to produce music, go to Garnish! Do you have to be able to play an instrument to produce and write songs? Which DAW is better – Logic, Pro Tools, FL, Ableton or Cubase?